We sell a variety of pop up booths that are designed to meet your trade show, convention, and exhibition needs. Pop up booths, also known as pop up displays or exhibit booths, offer a great way to get your business more attention at trade shows and other promotional events. We sell a wide variety of pop up booths including graphic fabric displays, hook & loop booths, portable gazebo style booths, and much more! 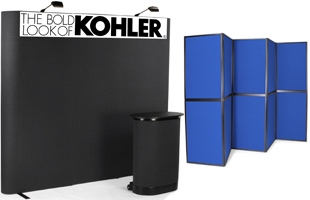 Pop up booths, such as fabric graphic displays, pop up displays, and touch fastener booths, offer a great way to grab attention at promotional events. Put your best foot forward at your next trade show, convention, or exposition. Business are constantly trying to advance themselves to gain more customers, and these events provide a great opportunity to do so. There are many steps a company can take to make their trade show booths more effective. The first step is to find an eye-catching and traffic-stopping pop up booth. We supply a wide selection of pop up booths to help you grab the attention of potential clients and customers. Our high resolution graphic pop up displays offer stunning life-like images that will entice customers to come view your trade show booth and see what your company has to offer. 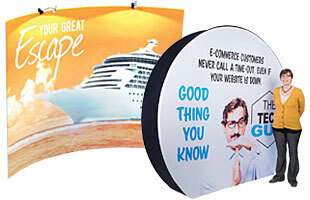 These pop up booths include huge custom printed graphics that can include your own images, logo, or company name. 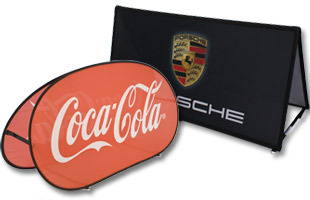 Our lightweight fabric pop up displays also come with large custom printed graphics and can be assembled in less than 10 minutes! Designed to be lightweight and portable, all of these pop up booths are easy to setup. 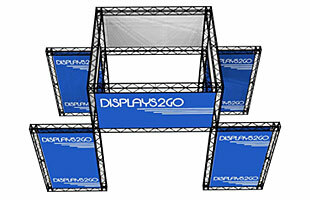 Displays2go also offers several other pop up booths in a variety of sizes and styles. We sell pop up booths covered in hook & pile-receptive fabric for a low cost, customizable solution to your exhibition needs. These versatile pop up booths can be covered in literature pockets, sign holders and other accessories by using hook and loop touch fasteners. 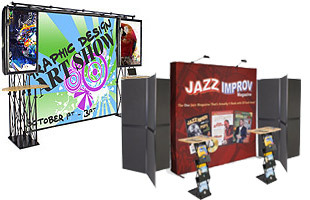 We also sell 3-D pop up displays for a more unique look, and portable gazebo style booths that are great for both indoor and outdoor events. As the name indicates, all of these display booths expand and "pop up" to their full size with ease. Often in a business you have to move your display from one place to the next quickly; these pop up booths allow this transition to happen more smoothly and efficiently. To further assist with easing your tradeshow travel and assembly, we include most of these pop up booths with cases for transportation and storage. 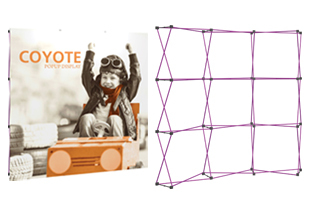 Check out all of our trade show exhibits and other portable display products. 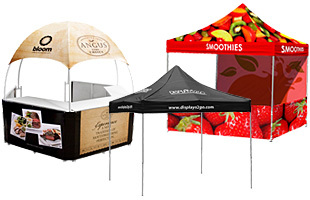 In addition to these pop up booths, we also offer a variety of other items for promotional events including banner stands, literature racks, portable counters, and more. 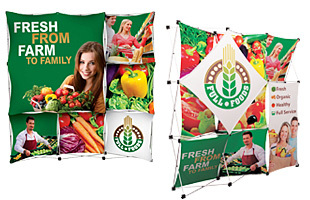 In addition to these pop up booths, we sell thousands of different POP displays, trade show products, and retail displays that are available for purchase through our online catalog. Browse our main shopping page for thousands of products that are in stock and ready to ship. 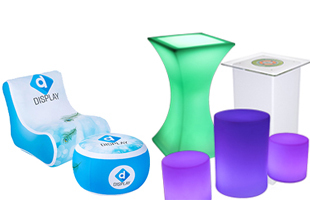 We have been manufacturing and packaging proprietary fixtures and marketing displays for over 39 years. We are a leader in this niche industry and our product line continues to grow daily. With the evolution of on-line stores, a lot of "virtual" display houses have introduced themselves into the POP marketplace. These virtual display houses are nothing more than mere brokers, often re-faxing your purchase order to a real display manufacturer. As a broker, they loose control over quality and service. You, as the customer, are the one that suffers when virtual display house brokers pretend to be more than what they are. It is a simple point of fact that we can provide better service during the whole purchasing-shipping transaction. Start shopping today!